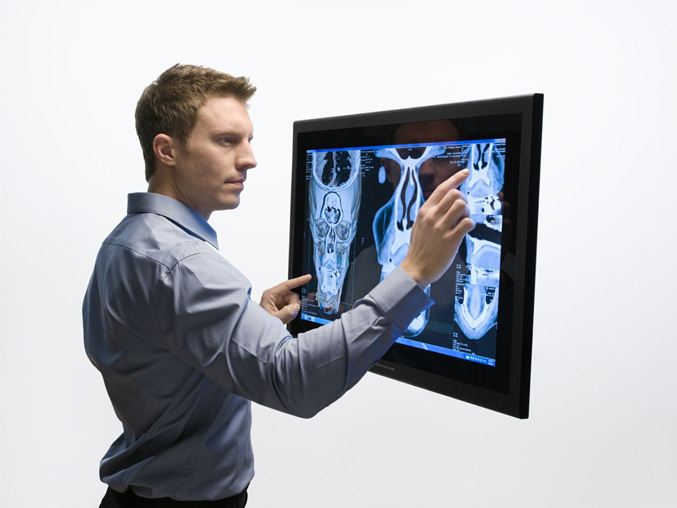 A huge, 27-inch multi-touch desktop display was unveiled today by the company Perceptive Pixel at Display Week 2011, which is claimed to be the world’s first professional high resolution, optically-bonded, multi-touch desktop display with such form factor. The 27-inch giant has an optically bonded, IPS LED backlight, multi-touch display with 2560×1440 resolution, utilizing projected capacitive technology, which offers 178° horizontal/178° vertical viewing angles, brightness (typical) of 400 cd/m², contrast ratio of 1000:1 and not bad for such display, a 6.5 ms response time. 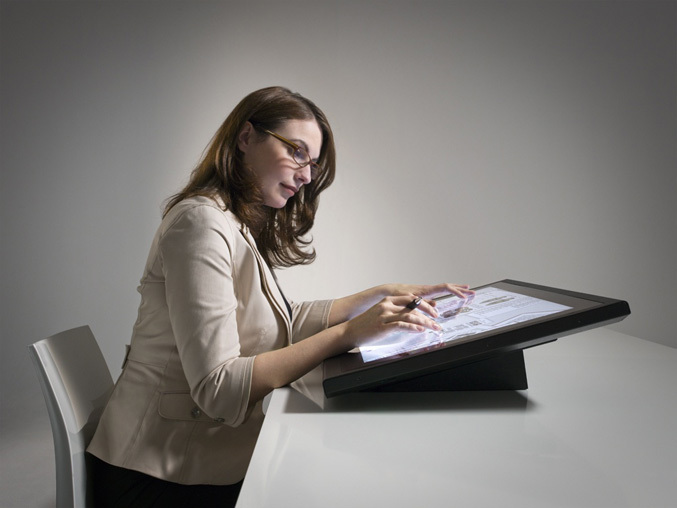 From the company has explained that a multi-touch display at this scale and fidelity was previously technically impossible and the biggest (in diagonal) display that industry has been able to achieve is 24″+, due to several reasons, including the restrictions of the projected capacitive technology, electrostatic interference from the LCD panel, distance between the sensor glass and display, low visual quality and so on. This breakthrough from Perceptive Pixel has been achieved by optically bonding the sensor glass to the display, which according them completely solving the parallax issue and resulting in “gorgeous optics”, while achieving an even better touch performance and an industry-shattering response time of under 1 millisecond.